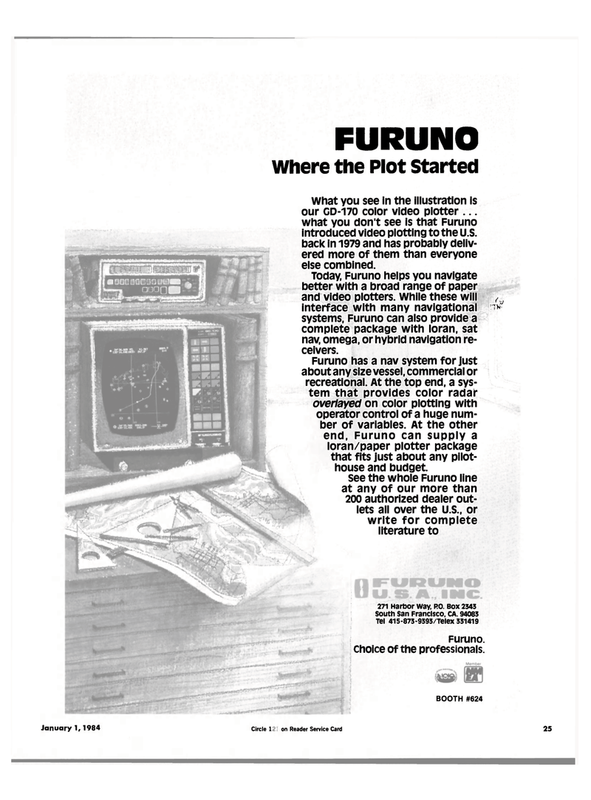 What you see in the illustration is our GD-170 color video plotter ... what you don't see is that Furuno introduced video plotting to the U.S. back in 1979 and has probably deliv- ered more of them than everyone else combined. Today, Furuno helps you navigate better with a broad range of paper and video plotters. While these will interface with many navigational systems, Furuno can also provide a complete package with loran, sat nav, omega, or hybrid navigation re- ceivers. Furuno. Choice of the professionals.